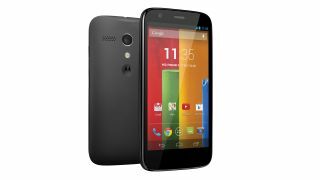 US customers waiting to receive their Motorola G will have to wait a little longer as winter storm Dion has delayed shipments. The storm has stopped Motorola's Fort Worth depot in Texas from operating, which has subsequently put back the delivery date on some orders. In a letter to a customer, Motorola openly blames the storm on the delay and promises to ship the phone by the 14th December, via overnight courier. It's not clear exactly how many customers have been affected, but it appears to be an issue that only affects the US. This obviously won't be welcome news for Motorola as it attempts to reassert itself in the smartphone market after losing so much ground to big boys Apple, Samsung and Google. The low-priced smartphone was released this month and touts some pretty impressive specifications, including a 4.5-inch edge-to-edge 720p display (329pp), a 1.2GHz quad-core Snapdragon 400 processor, 1GB of RAM and up to 16GB in storage.